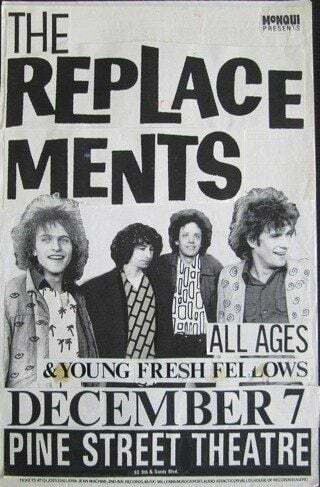 Legend has it that The Replacements played their worst show ever in Portland, Oregon on Dec. 7, 1987. The show inspired the outtake “Portland,” a formal apology to the city. Tommy Stinson performs at Midway Stadium on Sept. 13, 2014. The show was the first hometown performance for the band in more than 20 years. The Replacements — Portland, 1987: Was it the band’s worst show ever? On Dec. 7, 1987, The Replacements performed in Portland, a show that some have deemed the band’s worst ever. “Every town is all the same when you’ve left your heart in the Portland rain,” M. Ward elegantly sings in “Paul’s Song.” This follows the typical trend of songs about Portland, Oregon. They generally serve as an ode to the picturesque landscapes and the simultaneously inviting, yet oppressive rain. The city has a special charm that is easy to fall in love with and difficult to forget. 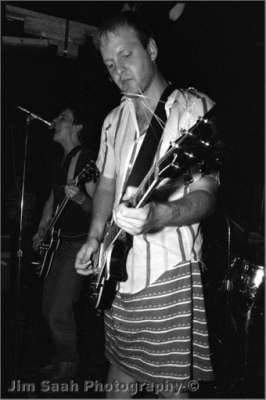 During a destructive, drunken bash on Dec. 7, 1987 at the now defunct Pine Street Theater, The Replacements themselves rained down with all of their ramshackle glory on the city of Portland, along with a wardrobe’s worth of clothing, a couch, a chandelier and maybe even a kitten. “It’s too late to turn back, here we go. Portland, oh no,” Paul Westerberg regretfully sings on “Portland,” one of the band’s great unreleased tracks, before formally stating, “Portland. We’re sorry,” as the song fades out. The song serves as a hungover apology to what is commonly referred to as the worst show The Replacements ever delivered. The Replacements developed from the 1980s Minneapolis punk scene and were notorious for their mercurial performances. Certain nights, they were the greatest rock band to ever wield instruments on a stage. Other nights, they would be lucky to drunkenly stumble onstage at all. It was one thing to enjoy listening to the albums, but to sit through an off night was a true test of loyalty. Part of the attraction was that it was impossible to predict what would happen during a Replacements show. If the band had been drinking (and they almost always had been), they would frequently launch into — and subsequently abandon — cover songs after realizing they only knew the main riff. Guitarist Bob Stinson would wear any outfit he could piece together backstage, sometimes leaving little to the imagination. Shows had the tendency to tailspin into an embarrassing parade of amateurism for no real reason at all. To pinpoint the “worst” Replacements show is a nearly impossible task. So what was so bad about the Portland show that prompted the famously unapologetic and crass Westerberg to apologize on record and etch “Portland. We’re sorry” into the original vinyl pressing of Don’t Tell A Soul? To begin with the facts, The Replacements and opening act Young Fresh Fellows drunkenly stormed the stage with freshly shaved eyebrows on the December night. This is the reported setlist of the show, so it appears the band played and completed a handful of songs including Rolling Stones, Prince and Dusty Springfield covers. Other than that, accounts of the show differ on a case-by-case basis, providing the background for a hazily recalled, booze-filled Replacements legend. Gorman Bechard, director of Color Me Obsessed (a film about The Replacements, which features no photos, music or videos of the band), did not attend the show, but heard a collection of stories about the fabled show in the process of creating the film. According to posts on Replacements fan message boards, Westerberg wore green spray painted shoes with a black dollar sign gracing the front, and Bassist Tommy Stinson boasted a homemade necklace of a CD hanging from a string. Tommy Stinson performs with the current lineup of The Replacements at Midway Stadium in St. Paul, Minnesota on Sept. 13, 2014. The show was the first hometown performance for the band in more than 20 years. The band encouraged the crowd to throw their clothes onstage, as the Replacements themselves stripped down. Tommy Stinson reportedly threw his pants into the crowd before realizing he forgot to empty the money from his pockets. After desperate pleas for someone to toss the money back to him, he searched an unoccupied pair of pants that made their way to the stage and claimed a $20 bill. In celebration, he danced a little jig in his underwear. The havoc onstage was far from the only issue that night. An unconfirmed report says the venue refused to pay the band for its set, which sent them into a destructive rage. Despite all the chaos of the night, the band still appears to have completed songs, so from a musical standpoint, odds are that this was not the band’s worst concert ever. One possible candidate for the worst musical performance was at Grinnell College in the spring of 1984. When the band arrived, their van door flung open and empty beer cans exploded out, setting the stage for a bumbling performance, according to University of Oregon Senior Instructor Alex Dracobly, who attended the show. Despite this encounter, Dracobly still willingly went to see them play a few years later in Seattle in 1991. So the pick is yours. Is a concert worse if the band never completes a song, or if they cause absolute chaos in the immediate vicinity of the venue while managing to sputter through a slew of songs? Something has to have resonated in Westerberg’s soul about that night for him to go on record with an apology though. For a man who once said, “I’m not ashamed of anything (The Replacements) did,” there has to be an unsettling element of the night that will remain a mystery to everyone except Westerberg himself. Don’t count on him to spill the secret anytime soon. The Replacements and Young Fresh Fellows play the Crystal Ballroom on Friday, April 10, marking the Replacements’s first return to Portland since June 27, 1991. The show sold out in a matter of minutes. Apology accepted.